When it comes time to purchase new home flooring in Alameda County, whether you’re in one of the major cities such as Oakland, Fremont, Hayward, Berkeley, and San Leandro or a smaller area, you will find a large selection of brands and styles of new flooring by going to a local Alameda County flooring showroom. At the best showrooms in the area, you will find many different flooring brands and styles that can make your house a home. Most good flooring centers also have knowledgeable sales representatives who are able to help customers make informed decisions on the new flooring that’s just right for you and your home or business. Now, quality floor coverings are more affordable than ever. In order to get the most value for your dollar, visit a local Diamond Certified flooring showroom in your area of Alameda County and check out popular brands and types of new flooring materials including carpets, rugs, hardwood flooring, laminate flooring, tile, linoleum, vinyl flooring more. Choosing the perfect flooring for your home or business can seem like an overwhelming task, and many people are unaware of the vast selection of flooring options available. Beyond selecting the right type of flooring, there are a number of factors regarding installation, care and maintenance that need to be considered based on the different characteristics of your home or business project. The best advice one can follow is to visit a quality local flooring showroom where the sales staff is specially trained to listen to your ideas and help you make the best selection that is right for you. To get the most from your flooring showroom visit, follow the following advice regarding how to prepare for your visit and what to expect when you get there. When shopping for flooring, be prepared to communicate your ideas effectively to the showroom salesperson. 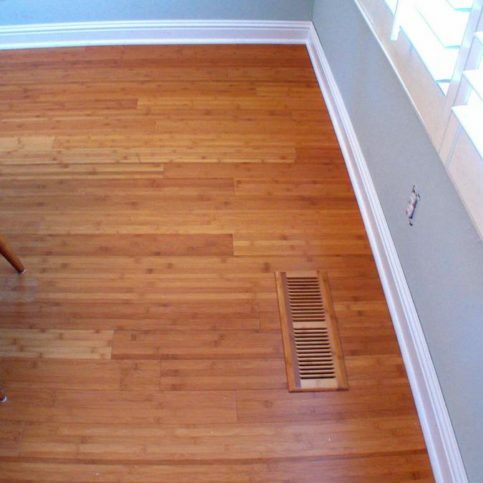 It is a good idea to take photographs of the area that needs flooring, as well as any adjoining rooms or furnishings. The photographs will tell the designer a lot about your personal style and existing decor. Sometimes colors don’t translate accurately in a photograph, so bring actual samples of your color scheme such as a piece of fabric, a paint swatch, or a piece of a broken tile. Once you have your photos and color swatches, you need to discover the coverage area of your flooring renovation. Draw a quick diagram and then mark the measurements of the space on the drawing itself. Decide on a budget for your flooring project. Then the salesperson will consider the area that you need flooring with your budget to show you the flooring options that will fit within your price range. All quality flooring showrooms will have products that will fit any budget. It is always a good idea to spend some time researching ideas to see what types of flooring you might be interested in. Browse through some home improvement magazines at a bookstore or online. Collect some pictures that you like and bring them to the flooring showroom. Even if you have a flooring style in mind, you may come across an idea or design that you could tweak into something in more satisfactory. Setting up an appointment at a flooring showroom is not necessary. However, you may want to call ahead and let them know that you are coming. Once there, present your ideas, photographs, magazine clippings, budget, and measurements to the flooring showroom salesperson. This will help you to effectively communicate your vision and help the salesperson select appropriate flooring options for you. Be sure to ask whether or not your products of choice are stocked locally, domestically, or overseas. Once you have made your flooring selection, be sure to inquire about care and maintenance requirements for your flooring of choice. Some flooring is easy to maintain and clean; other flooring options may require special care. It is also important to ask whether your flooring of choice requires special installation techniques or materials. If it is necessary for you to return to the flooring showroom, try to set up an appointment with the same flooring showroom salesperson. This will save you time and energy and allow you to get your flooring project completed in a more timely fashion. Why Trust Diamond Certified Flooring Showrooms Rated Highest in Quality and Helpful Expertise®? Many factors should be considered before selecting a flooring showroom in Alameda County, including the smaller cities of Albany, Castro Valley, Emeryville, Livermore, Piedmont, and San Lorenzo, that will meet your needs the most successfully. Write down everything that you’re searching for before you begin your research. Consider the following questions before making your final selection of a flooring showroom. Do I want a Diamond Certified flooring center in Alameda County that is top rated and backed by the Diamond Certified Guarantee? What type of flooring am I most interested in for renovation project? Tile? Carpet? Hardwood? Do I want a flooring that requires special care or do I only want a flooring that is easy to maintain and clean? What flooring style do I have in mind? The next step is to interview flooring showroom representatives in Alameda County, including the larger cities of Oakland, Fremont, Hayward, Berkeley, and San Leandro. Talking to them in-person will allow you to explain what you’re looking for and see what they and their flooring center have to offer you in terms of variety, pricing, new flooring installation services and customer service. Questions you may want to ask include the following. 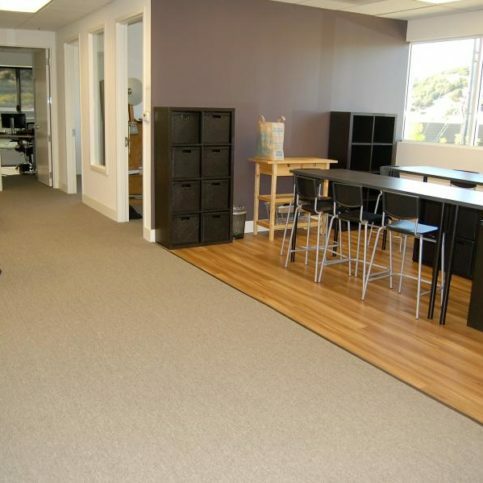 How many flooring projects or new floor installations has your flooring showroom completed in Alameda County? Does your flooring showroom have any references that I may contact? How long should it take for a flooring showroom contractor to complete my new flooring installation? Does your flooring showroom carry workers’ compensation and liability insurance for your flooring installation crew? What types of warranties and guarantees are available on your flooring options? What is covered with any offered warranties? How does your flooring warehouse price new flooring materials and installation, if installation services are an option? Does your Alameda County flooring center have any carpet swatches, carpet remnants, or carpet samples that I can take home to compare? Does your local flooring showroom have a current business license to sell new flooring? It’s best to choose a Diamond Certified flooring showroom because all certified companies have passed an in-depth ratings process that most other companies can’t pass. If you want quality from a flooring showroom in Alameda County and the Greater Bay Area, you can have confidence choosing a Diamond Certified company. Diamond Certified reports are available online for all certified companies. And you’ll never be fooled by fake reviews. That’s because all research is performed in live telephone interviews of actual customers. If you can’t find a Diamond Certified flooring showroom within reach, you’ll have to do some research on your own. If you do, it’s wise to call some references provided by your flooring showroom. Keep in mind, though, that references provided to you by the flooring showroom are not equal in value to the large random sample of customers surveyed during the Diamond Certified ratings process. That’s because references given to customers from companies are cherry-picked instead of randomly selected from all their customers. So the contractors will likely give you a few customers to call that they know are satisfied. Were you satisfied with the service from the (flooring showroom name)? If you need new flooring in the future, will you consider going back to this flooring showroom again? 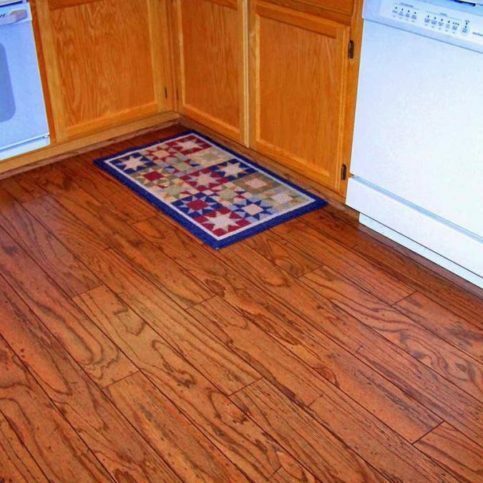 What type of flooring did you purchase from this flooring showroom? Would you recommend this flooring showroom to your family and friends? Did the flooring showroom install your purchased flooring? If so, did they finish the job on time? Did they clean up after completing the job? Did they show up on time? Your choice of a flooring showroom will impact the quality of the new home flooring and flooring installation services you receive. You don’t want to have to worry about any part of the process when buying new flooring. So before deciding on the best flooring showroom in Alameda County for you, it’s important to consider the following questions. 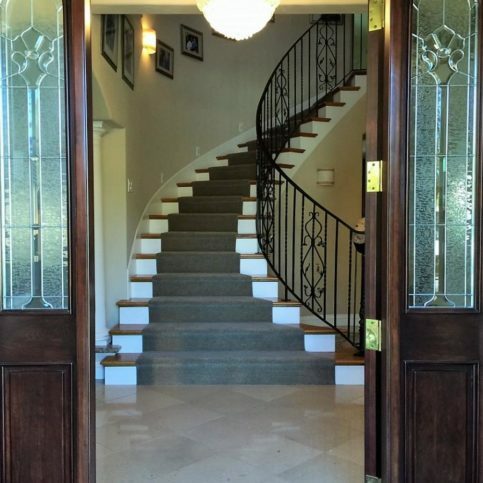 Which flooring centers in Alameda County, including those that serve the larger cities of Alameda, Union City, Pleasanton, Newark, and Dublin, offer the better warranty for the price? Which Alameda County flooring showroom has payment options that work the best with my financial situation? Is my flooring warehouse of choice well-established in the community? Does this flooring center have a good reputation with other consumers and companies in the area? Does my flooring showroom of choice have good references that I have checked? Is my flooring showroom of choice charging a reasonable price for quality flooring and service? Now that you’ve located a local flooring showroom in Alameda County that meets all your ideals, it’s the perfect time to ask for a written contract. This contract should include written details on the price, quality and materials to be used, as well as the job start date and intended completion date. When signing the contract, don’t hesitate to write in special requests or verbal agreements. This will protect you and help ensure you get the services you have agreed on. Along with end dates and any special instructions, these add-ons may also include related issues that aren’t always covered by a standard contract. For example, regardless of how careful your contractor promises to be, sometimes damage can unexpectedly occur when putting in new flooring. But you can protect your property by being proactive. Before the work begins, schedule a walk through with the company supervisor and conduct a pre-work inspection of your property. List or photograph your home or business and the areas surrounding where the flooring will be installed. Speak with a company representative about reasonable expectations for protecting your home or business during the work. When you’ve reached an agreement, both you and the contractor should sign and date the document. When the work is done, do a final inspection together and verify that your expectations were met. When you’re happy with the information your Alameda County flooring showroom has given you, sign the estimate and service agreement. Verify that the flooring showroom representative has a phone number where they can reach you at all times. If the actual costs exceed the amount agreed upon on your estimate, make sure that the flooring showroom representative gets your final approval before moving ahead with installing the flooring. Your approval must be noted on the estimate and the invoice. 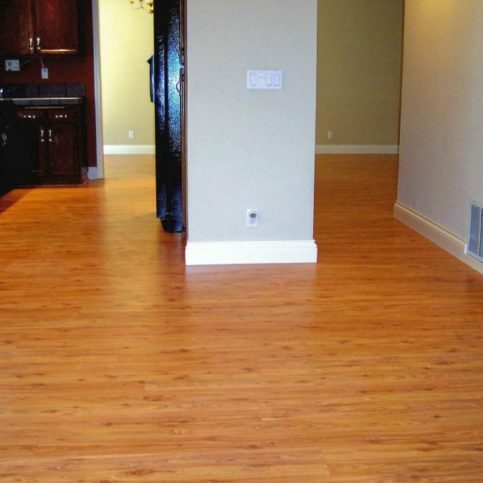 Professional flooring installers in Alameda County are able to handle the large and small aspects of their work. But there are a few things you can do in preparation to their arrival and while the work is in progress to help their job go more smoothly. You may even cut down on billable hours or the possibility of damage to your home and belongings. Remove furniture and movable items from the workspace. Before the work begins, remove all furniture, decorations, rugs, and movable objects from the rooms slated for flooring. You may also want to temporarily store any heirlooms or expensive items that are in high-traffic areas of your home to prevent them from being broken. Provide adequate clearance and parking space for work trucks.Some flooring contractors have large work trucks that require more clearance or parking space than average vehicles. Contact the flooring showroom before the scheduled start date and ask them how many work vehicles will need parking space and whether the vehicles are oversized. You may find it helpful to walk through the site with your contractor ahead of time so they can point out any potential clearance issues or possible hazards you can move or minimize before the flooring begins. Keep children and pets away from the flooring areas. Your contractors will be focused on the work at hand and shouldn’t have to watch out for children and pets before, during or after the work. Cordon off any rooms that are to be floored and keep pets and kids away from those rooms until after the work is done. This will prevent accidents and injury. How Can You Be a Good Alameda County Flooring Showroom Customer? It’s the flooring showroom company’s responsibility to sell and install quality flooring using the best possible flooring and installation techniques. But you play a big part in the success of your flooring company, too. Here are a few simple steps you can take to be a good customer when hiring an Alameda County flooring showroom. Be clear and upfront with the flooring showroom representative. Let them know what you want from your flooring company, the long-term outcome you’re expecting and specific ways they can satisfy your expectations. Before you hire a flooring showroom in Alameda County, restate your expectations and goals, and reiterate to the flooring showroom representative your understanding of the agreement. Most problems with local flooring showrooms occur because of a breakdown in communication. By being clear about your expectations and theirs, you can avoid most conflicts. Ask your flooring showroom company if you should call to check on the progress or if he will call you with updates. Be sure your service representative has a phone number where they can reach you at all times while they’re installing your flooring. The work will move along more smoothly if your flooring showroom company can reach you for any necessary updates, questions or work authorizations. When your contractor contacts you, return calls promptly to keep the flooring company on schedule. Pay for the flooring showroom company work promptly. Why would you want to be a good customer? 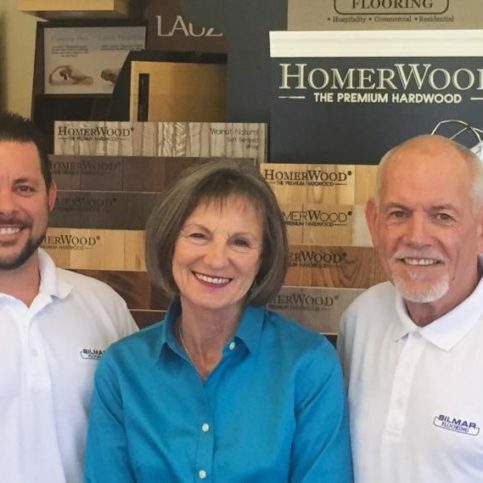 Flooring showrooms in Alameda County, including the larger cities of Oakland, Fremont, Hayward, Berkeley, and San Leandro, appreciate customers who are straightforward, honest and easy to work with. Your good customer behavior sets the tone from your end and creates an environment conducive to a good relationship. Things may very well go smoother and any problems may be more easily resolved. Before leaving the flooring showroom, confirm any warranties offered by the flooring showroom in Alameda County, including the larger cities of Oakland, Fremont, Hayward, Berkeley, and San Leandro. The flooring showroom’s name and physical address. What the warranty covers, such as flooring products, installation services and other items and services provided. A statement detailing whether the flooring showroom will replace or repair failed flooring or give you a refund. Any exclusions must be explicitly stated. Your responsibility in the case of a problem with your new home flooring and what you need to do in order to redeem the warranty. If the flooring warranty coverage is transferable to the new owner in the event that you sell the home or building in which the new flooring has been installed. Flooring showrooms in Alameda County, including the larger cities of Alameda, Union City, Pleasanton, Newark, and Dublin, provide all types of flooring. Following is a list of the most popular flooring available. 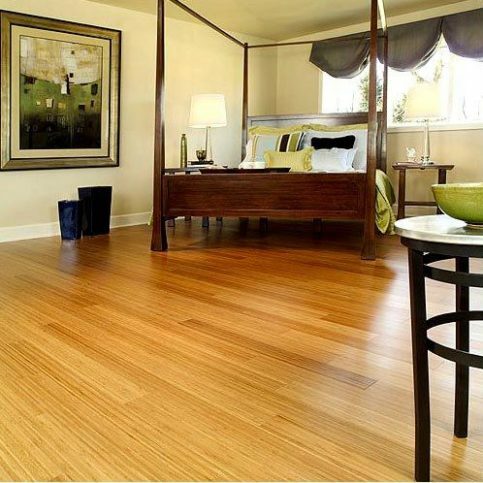 Bamboo flooring is a popular choice for your home or business because it is considered a rapidly renewable resource. Made from the bamboo tree, it can be replaced quickly. 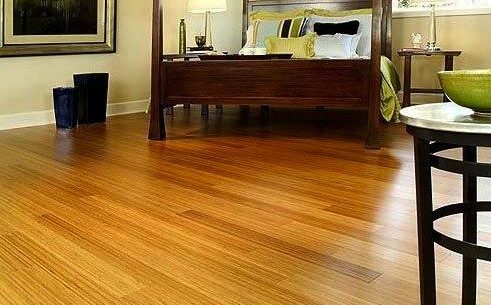 Bamboo flooring has several benefits that include it is easy to maintain, it is durable due to the strength of the wood, and it is adaptable in a variety of climates. Cork flooring is a popular flooring option because it is eco-friendly. Cork flooring is manufactured by stripping the bark from cork oak trees. This process is harmless to the tree and the bark regrows in a few years. Cork flooring has several advantages which include being made from a renewable resource, it is fire and mold resistant, easy to clean, resilient, and noise reducing. It comes in many colors, shapes and patterns. Though not a renewable resource, reclaimed wood is environmentally friendly. The wood for reclaimed hardwood flooring is gathered from a variety of resources that include river bottoms and old wine barrels. It is then reclaimed and refinished into flooring. 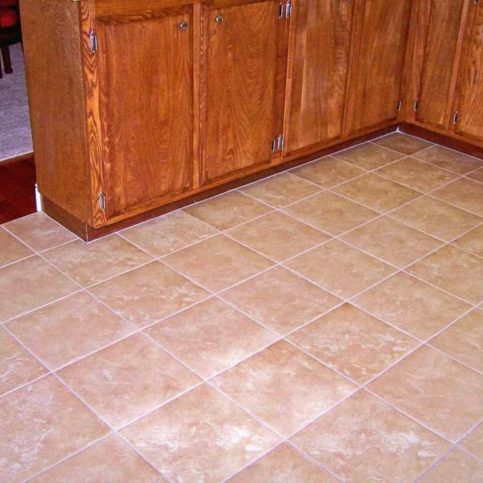 Many homes are built with concrete installed under the tile or carpeting. This concrete is now being transformed into a beautiful flooring. Concrete can be transformed in a variety of ways that include stain with acid, stamps, colors, patterns, and more. A talented concrete flooring expert can help you create your very own custom-made floor. Marmoleum is a trendy product that is made from all natural ingredients. Marmoleum is perfect for areas of high foot traffic. It maintains an even temperature during the summer and winter months. Furthermore, it is great for people with allergies. 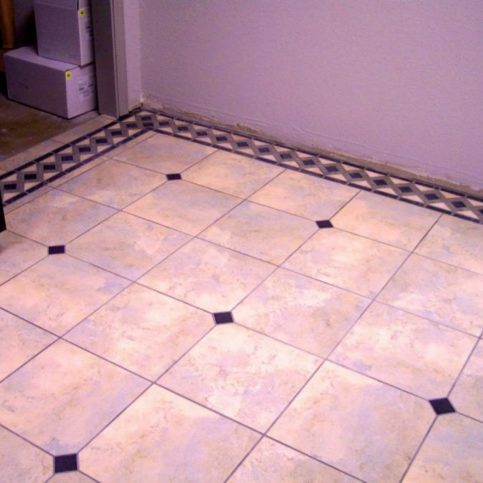 Anti-bacterial tile reduces indoor air pollutants and eliminates common strains of bacteria. Some tile products are made entirely from anti-bacterial properties. Other tile products have a special coating that offers that same anti-bacterial benefits. Engineered wood flooring has the same look and appeal of solid hardwood flooring without the price tag. Engineered wood flooring is less expensive than a solid wood flooring and it also has an eco-friendly side due to being produced from wood floor products such as wood pulp and chips. Handscrape hardwood flooring is created from wood that mimics the look of historic wood that has been reclaimed from old structures. Today’s flooring manufacturers handscrape planks in a manner to get the look and feel of salvaged historical lumber. Many flooring manufacturers are known for creating quality flooring, including carpeting, tile, ceramic tile, vinyl flooring, carpet runners, wood flooring, laminate floors and sustainable flooring choices. The following list names popular flooring brands available at flooring showrooms and flooring warehouses in Alameda County and the surrounding areas. Below are key flooring center terms that will help you make wise purchases at local flooring showrooms in the Bay Area and beyond. Ceramic tile flooring is made up of ceramic, or non-porcelain, tiles that are generally made from red or white clay and fired in a kiln. The tiles are then usually finished with a durable glaze that carries the color and pattern. 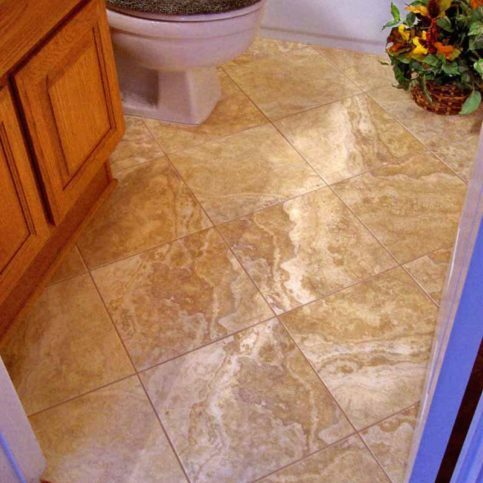 Typically ceramic tile flooring is softer than porcelain tile and more prone to chipping. 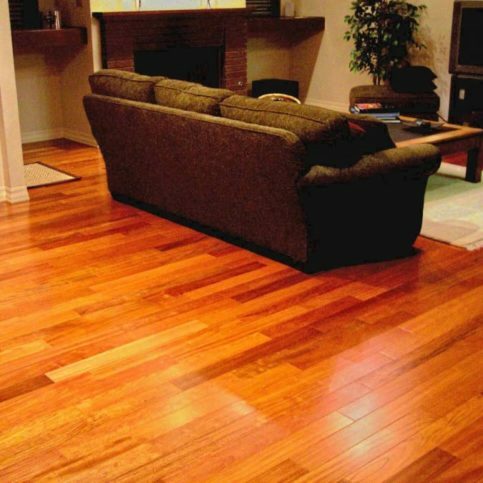 Cherry flooring refers to a cherry hardwood floor that has rich, lustrous hues that deepen as the floor ages. Because it is made from a soft wood, it isn’t usually used for a whole floor. It does make an excellent accent or decorative wood. 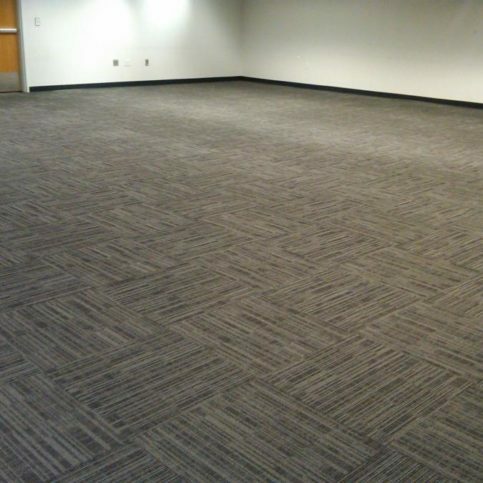 Commercial flooring is flooring manufactured for commercial buildings or for commercial use. Engineered floors are built with 3-12 multiple ply layers that are cross layered, glued and pressed together. The inner layers are generally built up with either a hardwood or a soft plywood type of material. The top veneer wear layer is glued and pressed on the top surface. Engineered wood flooring is available in most all wood species. It is more resistant to higher moisture levels than solid wood flooring and it can be directly glued down over concrete slabs. Floor tiles are a type of flooring that come in many different types that include porcelain, granite, glass, mosaics, ceramic, and stone. 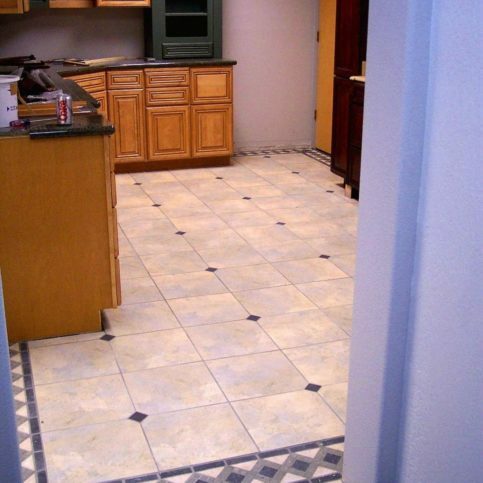 Floor tiles are used for flooring in businesses and homes. Garage flooring is flooring specifically designed for garages or commercial buildings. Garage flooring is manufactured to be resistant to oil, grease, petroleum, antifreeze, and most household chemicals. Hardwood flooring is flooring made out of solid wood. Hardwood flooring increases the value of your home and if properly maintained, should last the lifetime of your home. Laminate flooring is another name for floating wood tile. It is a multi-layer synthetic flooring produced that is fused together by a lamination process. Laminate flooring looks like wood but is made from plastic. Linoleum flooring is a floor covering that is made from renewable materials such as cork dust, linseed oil, and pine rosin. Linoleum is very durable and made by joining and inlaying solid pieces together. Linoleum comes in different grades and and gauges. Because it is flexible, it can be used in buildings in which more firm materials such as ceramic tile would crack. 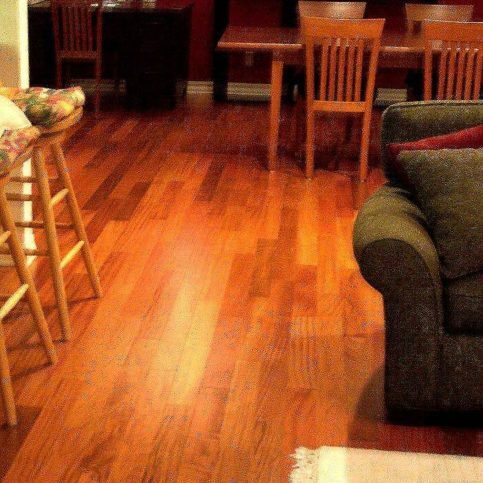 Maple flooring is a hardwood flooring made from the maple tree. It is considered highly durable as it is resistant to wearing and abrasions if properly maintained. It is easy to clean and reduces allergens. Marble flooring is a flooring made out of stone that increases the value of your home. It is considered a luxurious, refined type of flooring and brings elegance to the d/(c)cor of your home or business. Oak flooring is a reference to oak hardwood flooring that comes in red oak, which is the most popular flooring option, and white oak. Red oak is reddish in color and is a stiff, dense wood that resists wear. White oak is brown in color with a grayish cast and has more burls and swirls. It is harder and more resists wear better than red oak. Parquet flooring is a reference to parquet wood floors. Parquet wood floors have an original look from regular hardwood floors. They are made up of geometrical patterns composed of individual wood slats held in place by either mechanical fastening or adhesive. Pine flooring is made from pine which is a yellowish brown color and contains a lot of swirls and knots. It is almost as hard as red oak and has a natural resistance to insects. Plank flooring is a reference to plank hardwood flooring that comes in two thicknesses, but the widths can vary from three to eight inches. Plank flooring has the appearance of very wide planks of wood. Rubber flooring is flooring made from rubber. Because rubber flooring is extremely springy, it makes it comfortable for walking, standing, and working. 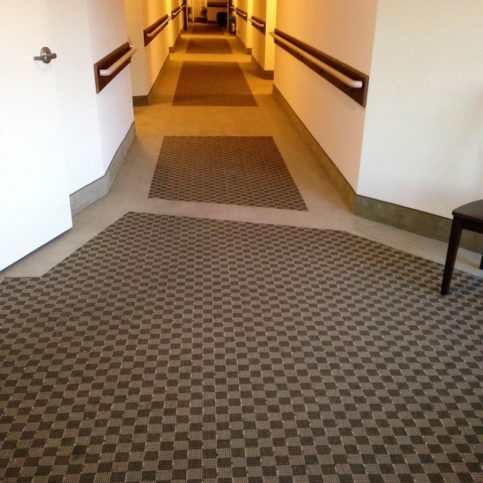 Hospitals, retails stores, and kitchens are the typical places you would find rubber flooring as it reduces the risk of injury caused by standing on hard flooring for extended periods of time. Because it reduces the strain on the feet and legs, rubber flooring is often called anti-fatigue flooring. Slate flooring is a type of flooring that is highly durable and resistant to stains. It is composed of a unique mixture of sand grains, fossils and crystals that together comprise slate. It is available in a variety of colors and is ideal for high traffic areas such as a kitchen or patio. Teak flooring is made out of the teak tree and is a highly durable, though very expensive, wood. The teak tree does not grow in rainforests and can withstand a lot of abuse which makes it the perfect choice for an active family. Vinyl flooring is inexpensive flooring that is made up of synthetic materials. Because you can buy it in sheets, it will quickly create a finished and professional look. 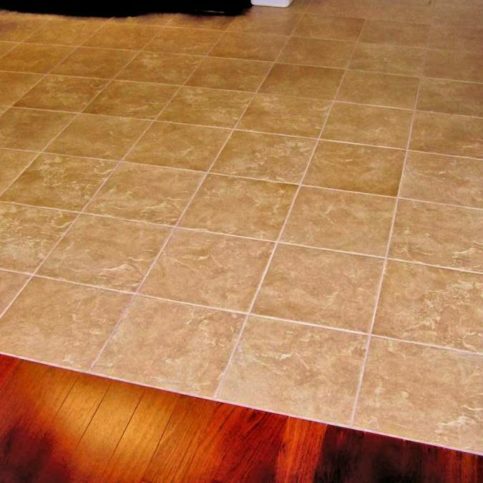 Vinyl flooring can be trimmed with the utility knife, making it easy to fit into corners or around fixtures. Walnut flooring is a reference to walnut hardwood flooring that is made up of two groups: heartwood and sapwood. The walnut heartwood group varies in color from a deep, rich brown to a purplish black color. Walnut sapwood ranges from nearly white to a tan color. Sapwood is the outer part of the tree so it is less durable and more permeable. It is also the smoother of the two options which means that it warps more easily. The heartwood is the older, stronger part of the wood so it is a great choice for flooring. Wood flooring is flooring made out of solid wood or materials that have the appearance of wood. Q: Why choose a Diamond flooring showroom? A: Diamond Certified helps you choose a flooring showroom with confidence by offering a list of top rated local companies that have passed the country’s most in-depth rating process. Only flooring centers rated Highest in Quality and Helpful Expertise® earn the prestigious Diamond Certified award. Most companies can’t pass the ratings. American Ratings Corporation also monitors every Diamond Certified company with ongoing research and ratings. And your purchase is backed by the Diamond Certified Performance Guarantee, so you’ll feel confident choosing a Diamond Certified flooring showroom. Q: How long will my new flooring look good? A: This question is an important question to consider. Today’s modern synthetic fibers, such as nylon, will never wear out but they will lose some of their good looks after a certain point. Quality flooring showrooms offer customers products that are easy to clean, easy to care for, and will maintain their appearances for long periods of time. Q: How easy will my new flooring be to maintain? A: This all depends on the product and what you intend to use it for. For example, if you choose a pure white carpet for a heavy traffic area, it may be difficult to care for. Quality flooring showrooms sell products that have the ability to be cleaned. Some products are even stain resistant. Though nothing is maintenance-free, some are easier to care for than others. Your local flooring showroom can help you make the right choice for you and your family. Q: How quickly can you install my new flooring? A: Usually a product can be installed as soon as it is delivered. Most flooring showrooms try to have new flooring installed within a week of ordering. Sometimes, installation can be achieved within 24 hours of purchase. You will need to check with your flooring showroom of choice for more specific information about this topic. Q: Will I feel comfortable having a flooring showroom installers in my home or business? A: Most flooring showroom employees wear uniform shirts that identify them as company employees. Most flooring showroom employees are also licensed and bonded and have years of experience. Q: Can flooring showrooms install environmentally-friendly linoleum? A: Most quality flooring showrooms carry real linoleum. Forbo Marmoleum is a popular brand carried by most flooring showrooms. Real, PVC-free linoleum is made from all-natural products. Water-based glues don’t emit any odor as well. Q: How long will it take for a flooring showroom to install my new flooring? A: Typically, a new flooring installation takes a couple of days; however, it depends on the project. Q: What kind of preparation should I do ahead of time before having my new flooring installed? A: A flooring showroom contractor will do most of the heavy work. For instance, a kitchen floor takes minimal preparation, and the flooring showroom employees will move all major appliances. There’s no need to empty your refrigerator. The contractor will find a place where it’ll be out of the way but can still be plugged in. Even when a job is extensive and takes a couple of days, flooring showroom installers will do everything possible to leave your household fully functional by the end of the workday. Q: What’s the difference between hardwood and laminates? A: Hardwood flooring is 100% natural which makes it more valuable due to its natural beauty. If you want easy maintenance, laminate is far easier to care for. It is also more dent and scratch resistant. Q: Do flooring showrooms offer any Green flooring options? A: Definitely. Green flooring is any flooring that’s sustainable, eco-friendly, contains recycled content and is recyclable, leaves a small carbon footprint, or has low VOCs (volatile organic compounds). Quality flooring showrooms stock every major manufacturer and style of Green flooring, including bamboo and cork. Q: I have a flooring project in mind. Is there anything I should bring to my design consultation? Q: Do flooring showrooms offer carpets from a variety of suppliers? A: Most flooring showrooms offer a wide variety of carpeting from top manufacturers like Anso and Stainmaster, as well as several lesser-known brands that are of equally high quality. Q: Do flooring showroom installers move furniture before installation? A: Most flooring showroom contractors are insured, so there are no issues with damage or liability. Q: Is carpet from a flooring showroom recyclable? 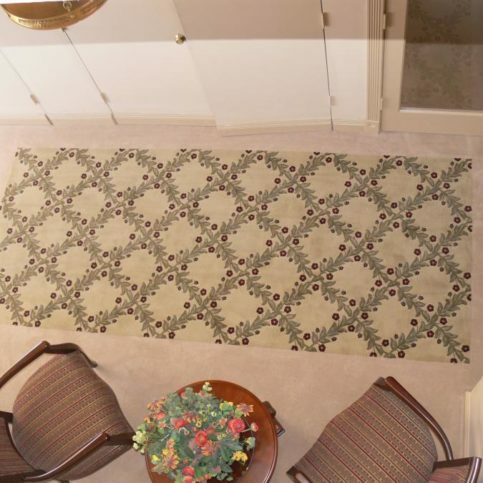 A: Most flooring showrooms sell carpeting that is 100 percent recyclable, including the padding used for carpeting. Recycling carpet helps the environment, and it is less expensive than using a landfill. 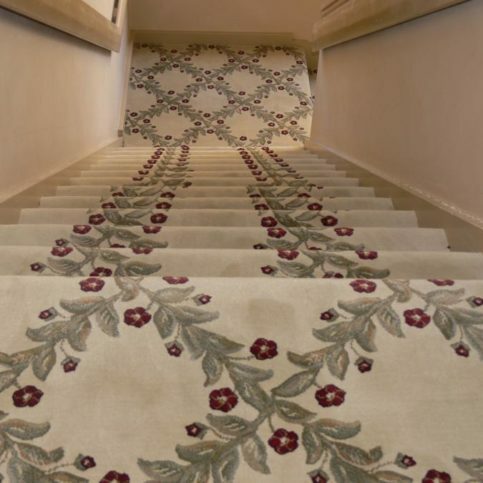 Most flooring showrooms will even recycle your old carpet for you if you bring it in. Q: What type of carpet should I choose if it’s going to be exposed to a lot of sunlight? A: Natural fibers (like wool) fade more than synthetic fibers when they’re exposed to sunlight, so it is recommended that you use either synthetic fibers or window treatments that reduce light. Q: What choices do I have when it comes to hardwood flooring? A: There are two basic choices available: solid and engineered. Solid planks are made from a single piece of wood and last for many years. Engineered planks are created from several layers of wood (with a core of plywood or HDF) and are designed to withstand higher levels of humidity. The type of flooring that you choose is really dependent on your specific needs.